Finding the right way to communicate a message is crucial. At Island Printing, we offer a variety of different tools you can use to help broadcast information in a range of different situations. One of the solutions we offer is corflute printing. Corflute signs are quick to produce, easy to display and offer super-high visual quality, allowing you to establish your message quickly and with class. Corflute signs (sometimes known as corrugated plastic signs) are a method of signage that are super quick to produce, super lightweight, highly weather resistant and allow businesses to establish their message and visual identity with fantastic visual quality. They are made of a durable ribbed plastic that allows for the printing of colourful images of incredibly high-fidelity, giving your visuals a boldness that helps them really pop. 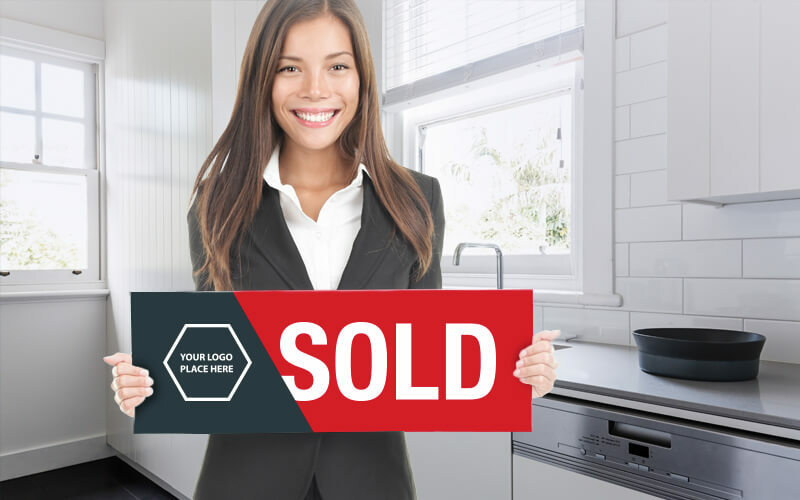 Because of their convenience, they are most commonly used as a form of short-term or temporary signage, particularly in real estate. However, they can be used for all kinds of marketing and signage indoors or outdoors as a means of advertising or information sharing. Businesses of all kinds can benefit from the low costs and quick production of corflute signs. At Island Printing, we specialise in helping businesses establish their image in exactly the way they want to. Custom corflute signs allow you to use any image with as much or as little colour as you like. We can use images you have already created or edit designs to better suit your signs so that you communicate your message exactly how you want to. Whatever quantity of signs you need, the quick production process allows us to fill large orders on a small and convenient timescale. We can apply vinyl to corflute signs or use direct UV printing to create signs of any size up to 2.4m by 1.2m. Whether you want small, easily displayed signs you can use flexibly or a much larger marketing effort, Island Printing can provide. As mentioned, one of the greatest strengths of the corflute sign is the sheer convenience of it. They can be printed in no time in a variety of different sizes that allow you to use them much more flexibly. As they are lightweight, they’re easy to transport from one location to another, so you won’t have to print a replacement if you want to display your sign somewhere else. 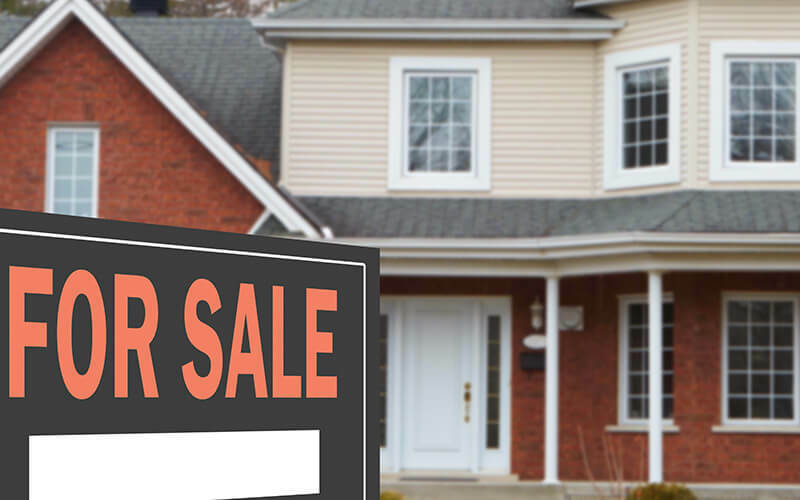 Real estate corflute signs are some of the most commonly encountered. The reason that real estate companies love them so much is thanks to their durability. Besides being strong enough to withstand transportation and repeated use, they are also highly resilient to the weather. Corrugated plastic sign printing is much more resilient to both the rain and the sun that paper and cardboard alternatives. For this reason, corflute is just as applicable outdoors as it is indoors. Printing material is only as effective as the quality of the image printed on it. 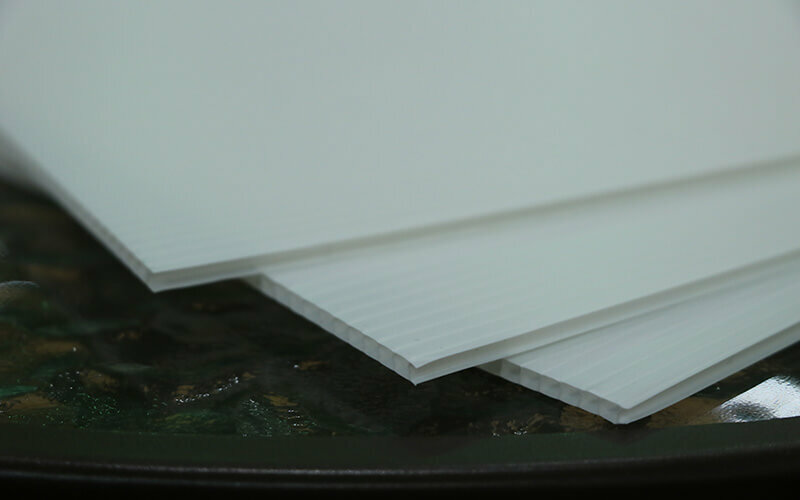 Printing on plastic might seem more difficult than using paper, but the truth is that corflute signs have quite possibly the best visual fidelity of all the different sign materials. High-resolution digital printing creates an impact and a clarity of colour that can help your signs truly stand out from any distance. There are no limits to what colours or what images you can display, helping you get the aesthetic of your brand consistent to your expectations and your other marketing materials. 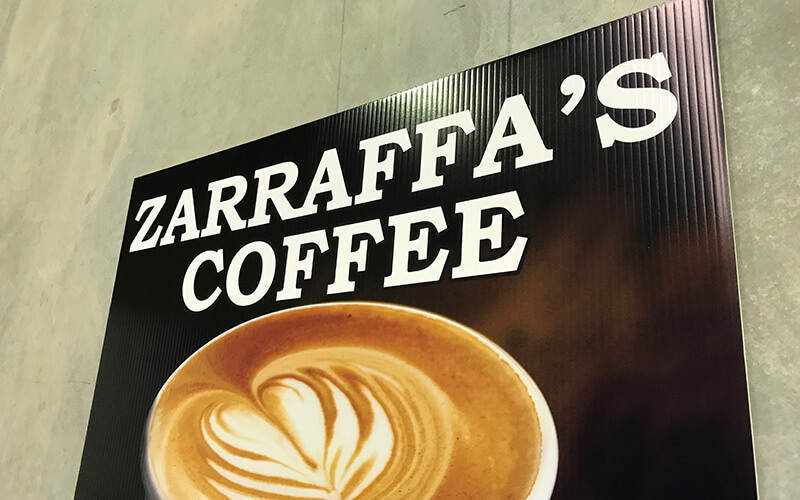 Since you can print images of any size, in any quantity, cut to any shape, with any imagery you want, there are few tools more versatile than printed corflute signs. Because of its relative ease of production, it can be used for short-term displays before being moved on to another location. But thanks to its durability, it can work just as well for long-term signage like shop sign branding or safety and instruction signs. The visual clarity makes it a perfect tool both for internal work use as well as marketing. The resistance to heat and moisture makes it just as suited to outdoor use as it is to indoor use. 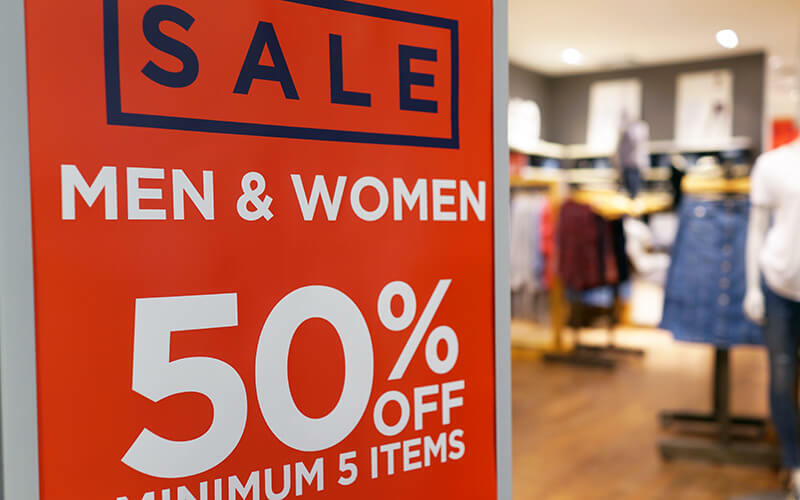 The variety of size and shape can make it useful for warning signs, security signs, trade show displays, in-store promotions and much, much more. At Island Printing, we offer a professionalism and customer service that can’t be beaten. Whether you choose our corflute signs or any of our other printing services, we keep you informed and help you understand your options every step of the way. We are proud of the high-quality printing we provide, and yet we still offer truly competitive corflute sign prices. Keeping your marketing cost-effective is essential in helping you get a return on investment. We know you won’t invest in printing that costs more than it earns you, so we offer transparent and honest pricing with no hidden fees. Island Printing has been keeping clients happy for years now with an ever-expanding variety of different banners, signs, and printing services. If you know what you need, there are few services that can provide more reliably. If you are looking for advice or inspiration, our experience in the industry gives us the expertise to help you choose exactly the right materials. Besides getting in touch directly, you can read through our online blog. There, we provide tons of information on different printing options, materials, pros and cons, and different tips for clients in different industries. We are always happy to help, so never hesitate to call or email. If you think your business could benefit from fast, high-quality corflute signs, get in touch with Island Printing. You can call us at 07 5514 0308 or email us at info@islandprinting.com.au and let us know exactly how we can help you. Basic Corflute Sign Price List! How long will it take to make my Corflute Sign? We can produce your corflute sign within 2-5 business days from the time that your artwork is approved and signed off. For urgent requests please contact us. What is the difference between vinyl and direct printed Corflute Signs? Vinyl printed corflute signs involve artwork printed on vinyl and then applied to the corflute or corrugated plastic sign. Direct printed corflute signs – the artwork is printed directly to the corflute. Can Corflute Signs be used outdoors? Yes! Corflute signs are used outside all the time. How long do Corflute Signs last? Corflute signs generally last 2-3 years outdoors. They are cheaper than other options and are not meant for long-term use.